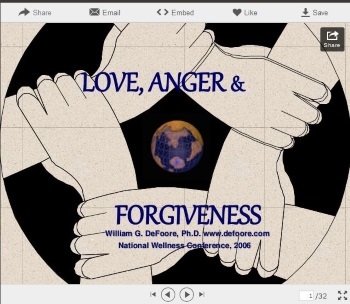 Dr. DeFoore's Healing Anger Newsletter entitled "Why Is Forgiving So Hard?" Even If You Really Want To? It's easy to say you should forgive those who've hurt you, betrayed you, abandoned you or let you down in some way. The thing is, forgiveness is not just a word...it's not even just an idea. Forgiveness (especially for major wrongdoings) is a process, not an endpoint. And it's more than a decision. The pain that you feel is often sudden and sharp. A harsh word, a thoughtless act or a cruel blow takes place in a heartbeat. This sometimes happens in close, loving relationships, which is where the pain is the deepest. And the pain lives on, long after the event of the wounding is passed. It takes but a moment to harm, and sometimes a lifetime to heal. Since you're left with the wound, there's a natural tendency to want to do something about it. You want an apology or at least an acknowledgment from the person who hurt you, which often never comes. You may want revenge, or some kind of justice, which can be hard to come by. So, you tend to hold onto your grievance against the wrongdoer, against the God who allowed this to happen, against yourself for letting it happen, or against life itself. Then, someone suggests that you need to forgive. Much easier said than done. Wounding happens fast, but pain seems to last. That's why forgiveness takes a while. "Forgiveness is letting go of the need to hold on to grievances in order to move on with a positive focus." This doesn't mean you have to be miserable while going through the forgiving process. We learn and grow through our pain, and through our healing journey. Forgiveness is for you, not for the other person. You benefit when you let go of the resentment and anger you feel inside. You can't punish the wrongdoer by keeping toxic emotions and resentful thoughts within your body and mind. If true forgiveness is hard for you, or even if it seems impossible, here are some very good choices you have. The main thing I suggest is, don't give yourself a hard time about it. Some things are very hard to forgive...even unforgivable. You notice I said, "Some things are hard to forgive. Some acts of wrongdoing are unforgivable, but the person is not unforgivable. All beings are worthy of forgiveness, even if their acts are truly unforgivable. This can be hard to sort out, but again, don't stress yourself about it. Stop trying to forgive. It's not something that happens by trying. Forgiveness is all about a return to love, so focus on what and who you love, and put your emphasis there instead of on what or who seems unforgivable. This involves shifting your mental focus...what you're thinking about...to what feels good...things, people and situations you're grateful for. Gratitude literally blocks toxic emotions such as anger and resentment. Picture yourself stepping apart from your wound and your grievances, and moving toward the love and goodness that is still there in your life. We heal in love, and love is the source of forgiveness. You were born and designed to give and receive love in your life. That's who you are by nature. 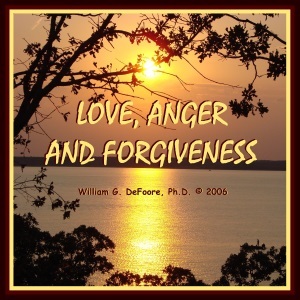 Learn more about love, anger and forgiveness on this web page devoted entirely to the subject. This highly effective audio program, available as CDs or MP3 download, will help you understand anger, love and forgiveness so that you can heal and live a happy, healthy life. 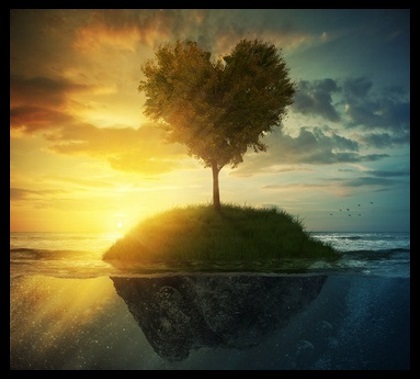 In this program, Dr. DeFoore will guide you through an understanding of how to let go and return to love, so that you can be the good, upbeat person you want to be. Get your copy now. New web pages for you. Read new contributions from good folks like you, such as I'm Not Sure If The Emotional Abuse Is Intentional by a woman who's trying to assess whether her relationship is healthy or not, and Taking The Moral High Ground In Ireland by a man who just wants to be safe on the road, like most of us.